Do you like Free the Emoji Gold Edition? Share it with your friends. 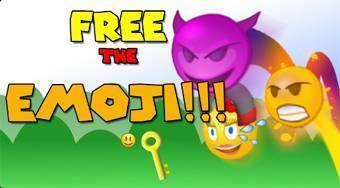 Free the Emoji Gold Edition is a great adventure jumping game in which your task will be to help a smiley save his beloved half kidnapped by a devilish smiley and imprisoned on the roof of a ten-story house. In each round, overcome all obstacles, pick up the golden key and get to the door.